As I sit here on my couch in San Francisco and begin to write this very blog, I am grateful the sun is shining outside. 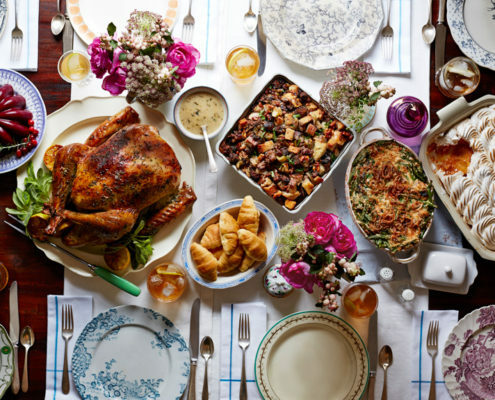 And with the American Thanksgiving holiday just upon us (depending on when you read this), it’s the perfect time for all of us to take some time and think about all the things that we are thankful for in our lives. To help me, I’ve decided to make a “Gratitude List” and I suggest you to do the same. It only takes a few moments and you will love how you feel after you make the list! I am thankful for my health. Incredibly grateful for this! I am thankful for my husband, Mark, for being such a sweet and positive and always smiling man! And to our three amazing children. I am thankful for my beautiful, large extended family. 20 of us are gathering tomorrow! I am thankful for all the great people I’ve met all around the world and all the adventures that have come during my travels. I am thankful for the experiences of spending the majority of my time in two beautiful countries – the USA and Canada. I am thankful for books as they are my adventures without a plane and my knowledge without a classroom. I am thankful for the success in my Jeunesse business, and having the opportunity to help others reach success and to better their lives. I am thankful for doing work that I love and being able to share that work with some terrific people. I am thankful for the opportunities that I have been given and the ones I have been able to give to others. Lastly, and most importantly, I am thankful for my parents and grandparents. I have been very blessed! Please take time this holiday season for all the loved ones in your life. I love the quote: “life isn’t about waiting for the storm to pass, it’s about learning to dance in the rain.” And I am dancing! Now off to go bake 4 pumpkin pies! Have a great rest of the week and I will talk with you soon. P.S. I hope you find my post useful on giving thanks with a gratitude list. If you liked this blog post, I think you will love my blog post on How Being Grateful Leads to Success. Happy holidays! 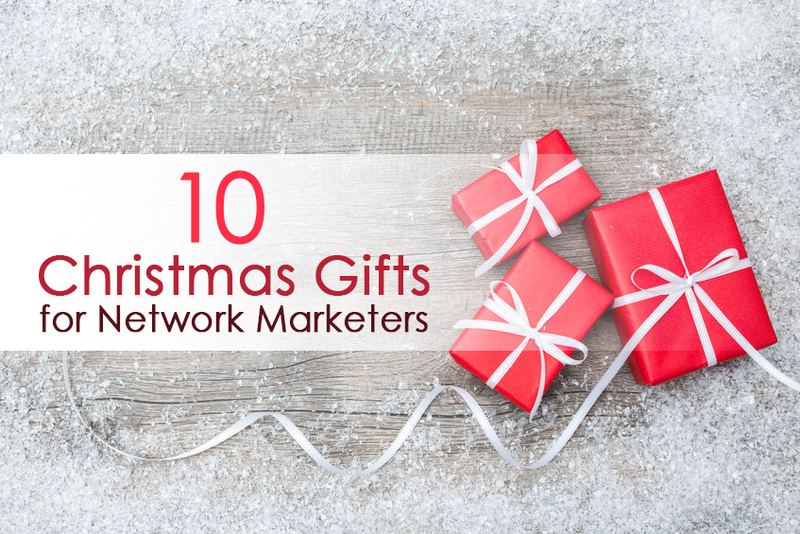 Tis the season time again and I have teamed up with Santa’s helpers to bring you the BEST gifts for network marketers. Whether you are buying for your team, a friend, or a family member, these gifts are sure to be a hit. Books make excellent Christmas gifts. This book is absolutely amazing for a network marketer. I have learned so much from Eric Worre over the years and was fortunate to speak at some of his events! Everyone will learn something from this book. I LOVE tea! Drinking tea throughout the day is a great way to stay hydrated and keep your energy up when working from home. One of my pet peeves is when the bag and string slip into my tea cup. I love these fun teabag holders – they keep my tea bag in place and make me smile every time. This is a great Christmas gift for your network marketing superstar! I use Toodledo to keep track of all the tasks I have on my plate. You can also set reminders and recurring tasks which makes organizing your MLM business much easier. Your calendar isn’t where you want to stash all the to do’s. Once I started using toodledo, my calendar became so clear and so clean – just appointments and calls! Plus toodledo captures all those sticky notes and the running commentary we have going on in our heads all the time trying to remember too much stuff. I LOVE Toodledo! My assistant, Anne Perry introduced me to it years ago. This fun cork board is the perfect place to pin your dreams. Focusing and manifesting your goals and dreams is very important in the network marketing world. I have a few boards at home and on Pinterest that give me daily inspiration. What you see on a regular basis will become much more real to you. Dream Boards are incredibly powerful. It is almost spooky how some of my dreams have come true – to the degree that I just stare at the dream board and shake my head at the reality of what has shown up in my life that mirrors the dream board exactly! Even my engagement ring! I love posting inspirational quotes in my newsletters and on my social media accounts. I always have a few books like this around so I can easily find new quotes to keep everyone motivated, including myself 😉 It is a nice pick-me-up for a few quiet moments a day. It is so important to fill our minds and hearts with great messages. Mindset makes a huge difference. We think it is all about the technique, the how to’s and those are important but without a great mindset to put the how to’s to work, it won’t matter. Stay inspired! Christmas Gifts for Network Marketers! Sometimes you just need to take a break and clear your mind…and coloring is a great way to do it! You wouldn’t believe how relaxing it is to pick up a few pens and color. I recommend pairing with a nice cup of tea. 🙂 Coloring books have become quite popular for adults lately. Another type of mediation. My sister in law, Kath has colored in her journal for years! It is very soothing. Remember how much you loved it as a child. You still do – you have just forgotten. I rediscovered coloring books at a spiritual retreat last year. Network marketers travel a lot! We are also constantly giving presentations, sending emails, hosting webinars and posting on our social media accounts so we need our computers with us whenever possible. This bag is a great Christmas gift because it protects your gadgets AND slides nicely over your suitcase. And odds are good, if you have a travel bag, it is probably looking shabby or you have had it awhile. Time to upgrade and I love that this one fits on top of the suitcase. Easier to get around the airports. Having a daily exercise is vital when you are working from home or traveling a lot. I love the Fitbit because it helps me calculate my activity and connects online so I can read my stats anywhere I go! It is inspiring to see how you are doing throughout the day. My goal is to step at least 10,000 steps a day and this helps me to reach that goal many more days than if I didn’t have this tracker. It is easy to sit at the desk for hours and to talk on the phone in our business. We need to get up and move! I know I do. This is a big 2016 goal for me! Video marketing is a powerful tool in building your MLM business. I love this kit because it let’s me turn my smartphone into a mobile video studio. It also has a remote control so you don’t have to move your phone every time you start and stop. Pro tip: make sure you have great lighting or the video will look grainy. And….always shoot your video in a horizontal format. This is a great and very easy to use gadget. And the final product is much more professional because your hand isn’t shaking the camera! iPads are a great Christmas gift for network marketers! You can use it for scheduling, communication, sharing tools and giving presentations. It is also great for working while traveling. It feels different than your laptop or primary workstation at home too. There is a bigger “fun” factor. Presentations and videos look great on it too. Prospects are impressed when you share your products and opportunity easily and casually on your iPad. Figuring out the perfect Christmas and Holiday gifts for your loved ones can be stressful. I hope this list helps give you some ideas for the holiday season. Santa is working around the clock to make all your gifts – and the elves too 😉 Happiest of holidays! P.S. I hope my tips on how to make a video are of value to you. 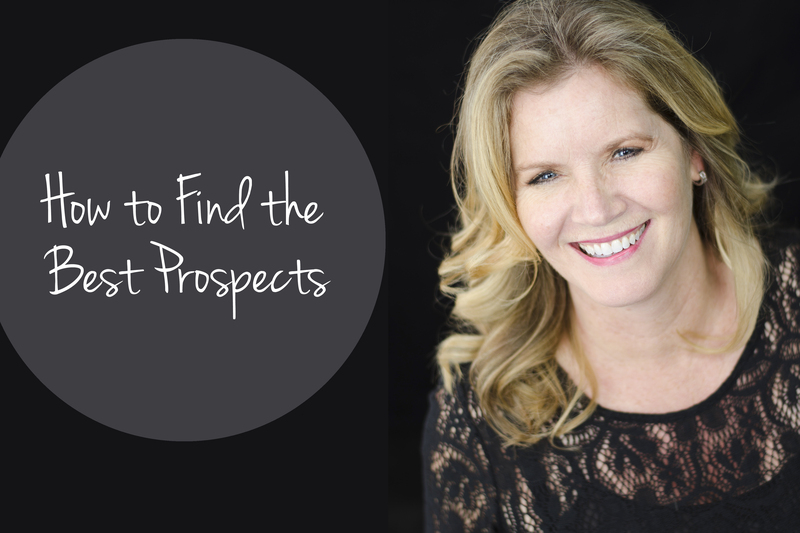 If you liked this blog post, I think you will love my blog post on How to Find the Best Prospects! Attracting better people is important for both your personal life and your professional life. And the way to do that is to improve yourself! You must learn how to grow if you want to find the best prospects. A universal law is like attracts like. And your business today is exactly where you are. As you grow, your business will keep up with you. One of the best ways to improve yourself and become the best that you can be is to make sure that your valuable time is spent only with those that you think deserve it. Do you think this person is more successful and smarter than you? This may not sound very nice but it is a business principle that works. The saying in our business is to reach up. It is easier to go the other way but if you want your business to grow faster and to be more solid, then reaching up is a good thing to do. To do this, you must learn how to use a people filter to determine who deserves your time and who does not. Only decide to prospect those that will bring you up in the world and help you to grow. Self-development will help too, but nothing compares to how spending time with the right people will change and influence your life. Have you heard the saying that we are the sum total of the 5 people we spend the most time with. Who are you spending all your time with? Who is influencing you? Who do you let speak into your life? Spending time with the wrong people can have just as much of a negative effect on your life. For example, it is very important that you stay away from negative people because if you spend too much time with negative people, you will start to think like them. That will not help you grow, or achieve what you want from life. Negative people are miserable due to the way they think: they bring the misery upon themselves. They simply complain too much and focus only on their personal problems, which makes their lives even more miserable and hopeless. It is also important to remember – you can’t change people! So if you want to find the best prospects, don’t waste your valuable time and only spend time with people that are worth it. It is more than okay to make a decision that this person is too negative or grumpy. It is more than okay to say next. We are in the sifting and sorting business. The only person you can change is yourself. If you do that, then you will find that positive people are suddenly coming into your life! As entrepreneurs and network marketers, our time is very limited. It is important to use every second wisely and only spend time with people that are worth it because the biggest waste of time is to spend it with the wrong people. It is worse than scrolling for hours on Facebook or watching bad TV. Wrong people do not just take time away from you; they also drain you mentally because they stress you out. 1. Is the person a negative or positive person? Do they focus on problems or a solution to those problems? If they constantly complain or blame others for their own personal problems, they are not worth your time. Negative people will only drag you down into their black hole. 2. Is the person grateful for what he or she has? Most of us that are reading this blog have it better than 85% of the people in this world. We can eat when we are hungry and have shelter over our head. If a person does not display gratitude then he or she is most likely a negative person and just not worth your time. 3. Is the person a giver or taker? The most successful people are those that give and give. They are successful because they give so much that people love to work with them. It may not always seem like it, but it is true that the more you give, the more you will get back. People who just constantly take are never successful in the long term and are not worth your time. I heard Tony Robbins say just last week – the secret to happiness is GIVING. 4. Does the person have integrity? Do they say what they mean and mean what they say? Integrity means one always tells the truth and never lies and is always consistent. It means that how they act in one situation is how they will act in all situations – no exceptions. If they lie or cheat to someone else, chances are they may lie or cheat you. Have you heard the saying: How we do one thing is how we do everything? Keep that in mind as you are making decisions too. If a person does not have integrity then you can not trust them and they are just not worth your time. If a person does not have the qualities outlined above they are not worth your investment. Remember you cannot change other people, you can only change yourself and one way to do so is to change the people you spend your valuable time with. By working on yourself, you will start to attract positive people into your life. I hope this helps you find the best prospects for your network marketing business! One great team member can really make a huge difference and one really bad team member can bring others down too. Go for the great! You deserve it! P.S. I hope these network marketing tips are of value to you. If you liked this blog post, I think you will love my blog post Build Your Confidence in 10 Steps! You also may enjoy this additional training about Success Secrets From Top Team Builders from Ray Higdon. Being Grateful Leads to Success! Two weeks ago in Tahiti I started reading “The Magic (The Secrets)” by Rhonda Byrne. It seemed like a great book to start this summer! In “The Magic”, Rhonda Byrne shares her life-changing knowledge of gratitude with the world and tells how to apply this knowledge in your everyday life. By having gratitude for the things in our lives, by living in the mindset of abundance, we can truly change how we think and feel. By learning how to have gratitude, we can better ourselves, our business and the lives of others. Some of you may not believe in the law of attraction or may have even really disliked the movie The Secrets, but seriously what do you have to lose? Some negativity? Some stuff in your life you don’t want anyway? How will being grateful change your life? So how exactly does it work? Here is one way to think about it. People either think in terms of scarcity or abundance. If you are thinking in terms of scarcity, you are always focusing on what little you have or what you don’t have. Someone in this mindset, especially in the network marketing industry, might say “I’m not going to make any money.” By focusing on this negative thought, you are making it more difficult to invite in opportunities to make money. You attract what you think. What you think actually becomes your reality. On the other hand, if you are the type of person who thinks the glass is half full, you will not stress yourself out over what you don’t have. Instead you focus on what you do have! It is the concept that there is plenty out there and enough to spare for everybody. Being grateful open the door to new possibilities, options, alternatives, and creativity. Once these doors are opened, there is no stopping you! 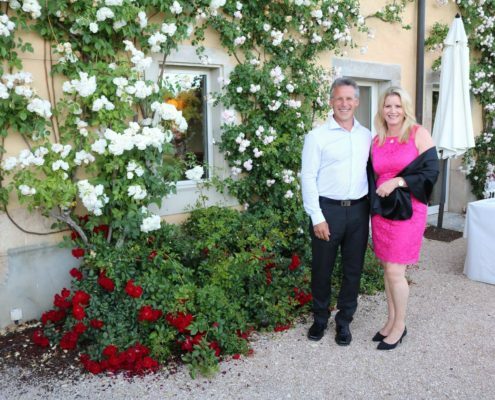 My husband, Mark is the most positive, optimistic person I know. It drives people crazy sometimes how “lucky” he is or that he is like a cat with nine lives, but the truth is because he is so incredibly positive, great things continue to happen for him. So what can you achieve by being grateful? Anything you want! Byrne says to make a list of everything you want, but get really specific. When you accomplish something cross it off the list. If you want to travel, then write down exactly where you want to go, how you plan to get there and what you would see and do. Dream boards are a great tool for this! Sometime soon, I will share some of my dream boards. I am still amazed at how exactly some of them have come true! I love putting up pictures on Pinterest, it makes it so easy. If you want improved relationships, write down the relationships you want to improve, and what you want them to be like. Visualize exactly what you are looking for. If you want to improve your business, sit and write out your goals and be as specific as possible. Byrne strongly urges you to find the time to maintain a list of your dreams throughout your life. Write down the little things, the big things, or what you want this moment, this month, or this year. As you think of more things add them to the list and as you receive things, cross them off the list. To make this process easier, she provides a list of categories to get you started! When you tune into the things you want, you are giving a definite direction for gratitude’s magic to work in. I have been a major goal setter for most of my life especially the last 12 years but I am excited about creating this list with this intention. I am going to keep this list really simple in an excel spreadsheet. Being grateful is an everyday task! With so many things going on in our lives causing us stress, it can be hard to focus on gratitude. The book explains that when you are starting to feel irritated or upset by things, this is the best time to focus on the good things you do have. If you are upset by a problem at work, focus on the thought that you have a job and you are fortunate to be employed while many others aren’t. Always seeing both sides will help you gain a better understanding and help you move from a negative mindset to a positive one. 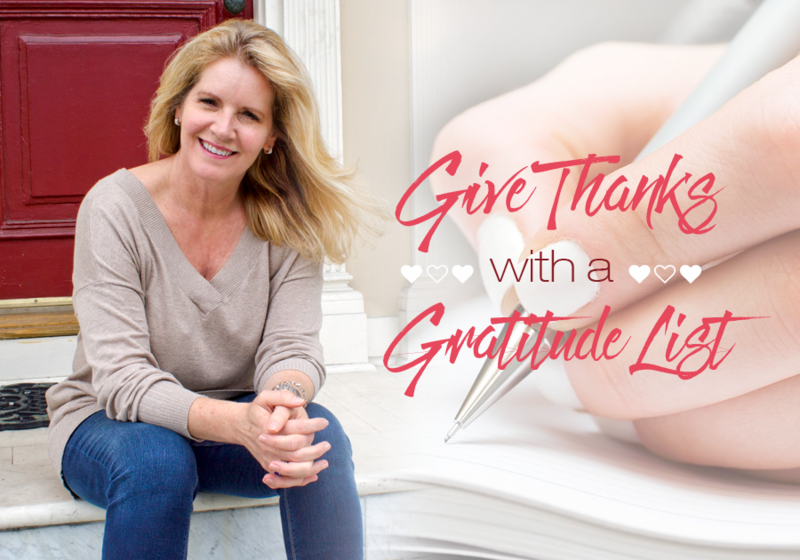 Rhonda suggests making a list of 10 blessings you have in your life and writing down exactly why you are grateful for them. Read the list out loud and say the magic words….”thank you, thank you, thank you!” While I was at the beach today, I thanked everything that I could see – the sand, the waves, my niece swimming in the ocean, the sun, my sunglasses, the shells, etc… You get the idea. On our vacation to Tahiti, I admired so much how the locals thank the fish, the ocean, the sharks, their boats. They call out thank you to what seems like random things to most of us frequently. Between listening to them and reading about gratitude, I committed to being even more grateful and feeling more blessed more of the time! I want to know what you are grateful for! Share your list in the comments! P.S. I hope these network marketing tips are of value to you. If you liked my post on being grateful, I think you will love my blog post on generosity! You also may enjoy this additional training about Success Secrets From Top Team Builders. If you learned something in this article, share it on Facebook! Also, comment with your thoughts below. Understanding the Key to Success and How it Changes your Life! I recently read something from Benjamin Franklin that really stuck with me. “Among the many truths I have witnessed: Wealth is not his who has it, but his who joyfully shares it.” Sometimes we get so caught up in our work and everyday lives, that we forget to give back. Franklin understood that the happiest people were those who shared their success with others. I believe that generosity is the key to success! Understanding this can not only change your outlook on life, but your business as well! People are drawn to people that really care and that give from a place of abundance, no matter what their financial situation is. Giving Back Gives Us Purpose…. One of the most important benefits of giving back is the feeling you get when you do it! Money cannot buy you happiness. When we help others and utilize our skill sets for the greater good, we get a wonderful sense of achievement. I once read an article about a case study in retirement homes. Dozens of people were interviewed on their deathbed and asked what are the things they wish they had done in their life. The number one answer was – I wish I had done more things that make me happy. To me this means focusing on much more than monetary success. This means happiness based helping others more instead of helping ourselves. (sounds like our business model!) You have a major advantage now because you know one thing you can do to improve your entire life: help others and do what you love! You can also apply these concepts to your business. Your Team Should Feel Good About the Community! Giving back creates goodwill. This will give everyone on your team a feeling of happiness that acts as a great source of motivation. You can’t motivate people, that comes from within, but you CAN inspire them! Having a company that focuses on giving back will make for a stronger, happier and more motivated team. One thing that I love about my business is that we have a built in system that allows us to donate money to charities around the world. This program is giving children the rights they should’ve had from birth: the claim to health, the opportunity to learn, and the protection they need to grow. I know that every time my business sees success, it is shared with others. How does your business give back to the world? Generosity is the Key to Success! Give back any chance you get! People will see your efforts and want to work with you. People want to feel good about what they do and will choose to work with those who make them feel this way. This is especially important in network marketing. There are always several businesses or teams a person can join. Stand out by offering something that other companies aren’t: a chance to achieve success through generosity! Wherever you are in the world and with your company, choose to be the team that creates a culture of giving. Make it a part of what your brand and your team is about. The world will notice and you will be rewarded in ways you can’t even imagine! I hope these network marketing tips are of value to you. You may find this blog post on how to Build Your Net Worth With Residual Income helpful too! If you learned something in this article, share it on Facebook! Also, comment with your thoughts below.